What happens when two headstrong people meet? Sparks fly. Well sparks definitely fly in Taming Jenna by Charlene Raddon. Not only do sparks fly but there is a smoldering fire then an intense raging fire between Jenna and Branch. I love stories of "headstrong"/"obstinate" women, partly because that is how everyone described me as I was growing up. Jenna is not just a strong, intelligent young woman challenging how women are viewed but she also has this vulnerability that she tries to deny. Part of growing up is realizing how your childhood has influenced who we are but knowing that it does not have to define us. It is nice seeing this transformation in Jenna. There are some very steamy, enticing love scenes. Charlene Raddon, the author, does a great job of creating a sensual experience while not being vulgar. She does not cross the line. If you read this book, your husband or significant other might be thankful. Well, that is if he has any of Branch's qualities. Wink! Wink! In addition, there is some violence in this book. It is described but it is not graphic. This book will grab your attention in the first few pages, and it never lets go. It is an adventure full, sensual experience that you will love, a wonderful historical romance novel. I give this one 4 1/2 stars out of 5. Charlene began her writing life at an early age, often penning stories where she cast herself as the heroine. It was after college when she dug out her old college typewriter and started her first novel, which came from a spirited dream she'd had the pervious night. While that book never sold, her second novel did. 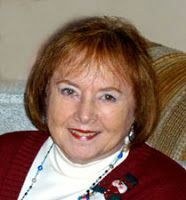 Tender Touch became a Golden Heart finalist and earned her an agent who signed the book, and two others, in a three book contract with Kensington Publishing. Kensington went onto publish five of Charlene's western historical romances: Taming Jenna (1994); Tender Touch (1994 Golden Heart Finalist); Forever Mine (1996 Romantic Times Magazine Reviewer's Choice Award Nominee and Affaire de Coeur Reader/Writer Poll finalist); To Have and To Hold (1997); and as Rachel Summers, The Scent of Roses (1999). When Charlene isn't writing, she loves to travel, do genealogy, digital scrapbooking and dyes eggs in the Ukrainian style. And she enjoys camping and fishing with her husband in the Utah wilderness. Love the sound of the story and can't wait to read it. Thanks,Kelli, for the lovely review and for hosting me. What a great review, I can't wait to read the book. Hi Charlene, I am glad I checked back because I found your post today. It wasn't here this morning. I haven't got started on your book yet but will sometime soon. I have just been two busy and haven't got much reading it. Maybe thing will settle down after Thanksgiving for a little while. Love the sound of this book. I can't wait to read this book! It sounds amazing. Thanks for sharing your opinion and for participating in the tour!